The glucocorticoid receptor (GR) is a member of the nuclear receptor superfamily of transcription factors, which exerts anti-proliferative and anti-apoptotic activities. 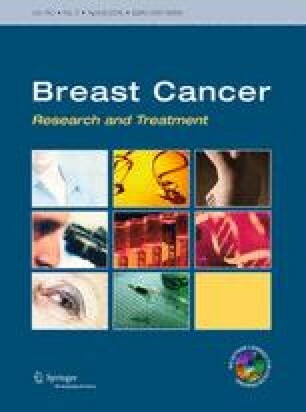 The GR is expressed in a large proportion of breast cancer (BC) although levels generally decrease during cancer progression. This study aimed to determine the clinical and biological significance of GR expression using a large series of early-stage BC with long-term follow-up and BC cell lines. Immunohistochemistry was used to assess the expression of GR in 999 cases of primary invasive BC prepared as tissue microarrays. Reverse phase protein microarray was used to assess the expression of GR in MCF7 and MDA-MB-231 cell lines. Nuclear expression of GR was observed in 61.6 % of breast tumours and was associated with features of good prognosis including smaller tumour size and lower grade with less pleomorphism and low mitotic count. GR expression was positively correlated with expression of oestrogen (ER) and progesterone receptors. In ER-positive tumours, GR was associated with other features of favourable outcome including FOXA1, GATA3 and BEX1 expression, while low GR expression was associated with high Ki67, p53 and CD71 expression. GR expression is associated with features of good outcome but does not provide prognostic information independent of size, stage and grade. Understanding the receptor and its effects on BC behaviour is essential for avoiding any unwanted effects from the use of glucocorticoids in routine oncology practice. Ola H. Negm: First joint author. Rezvan Abduljabbar is funded by the Human Capacity Development Program, Ministry of Higher Education, Kurdistan Regional Government, IRAQ.